All of our organizations are shifting toward digital communication. They’re reducing face-to-face contact, calls and printed material. Why? An obvious reason is that digital reduces cost. For some government services, the average cost of a digital transaction is 5 percent of the cost of a telephone transaction, 3 percent of the cost of a postal transaction, and 2 percent of the cost of a face-to-face transaction. But in addition to cost, customers are demanding digital services. Digital is simpler and easier. It allows customers to get the information they need when they need it. But if your digital content isn’t readable, it won’t be of use to your customers, no matter how great your website is. Readability is about making your digital content clear and easy to understand. When you focus on readability, you increase the chance your target audience will actually read and interact with your content. For this reason, readability should be a natural part of your content management. Whether your website is targeted toward the general public or a specific demographic, it is important to realize that the average reading age is lower than you might expect. U.S. illiteracy statistics from the Literacy Project Foundation offer some surprising insights. The average American is considered to have a readability level equivalent to a 7th/8th grader (12 to 14 years old). This level is actively used as a benchmark for written guidelines in the medical industry. In the UK, the central government encourages content writers to aim for a readability level of age nine. Their reasoning for this is that around the age of nine, children stop reading common words and just recognize their shape. This allows them to read faster. By reducing long sentences and words, you can help keep text simple and easy to read. By not addressing the readability of your content, you could be actively discriminating against users with learning disabilities. In contrast to other online readers, some users will read words letter for letter – making long words and long sentences a challenge. As part of the WCAG guidelines text should not require a more advanced level than lower secondary education. Regardless of literacy level, people read differently online than they do when reading printed text. Studies have shown that people scan web pages and only read about 18% of what’s on the page. The same studies say if you convert print text to the web, you should reduce content by about 50%. Web users don’t even necessarily read from the top to bottom or word for word. This is because they are looking for specific information or trying to complete a task and can get impatient if the content is too wordy. As a content editor, it’s not enough to copy and paste text from one format to another. In order to make sure that your website is understandable and accessible to all users, you must consider how the text is formulated and what words you’re using. Interestingly, using long words can result in readers missing shorter words that follow them, which can greatly affect text interpretation. Using shorter words and shorter sentences will present content in a much more user-friendly way and will suit the way they approach text on a website better. It’s also important to remember that writing clearly for the web is a skill. Writing well on paper does not necessarily mean that someone communicates well online. By ensuring content editors are involved in the production of online content, they can help reduce jargon and other poor readability elements. So we’ve established that readability is vital to your digital content process, but where do you start? 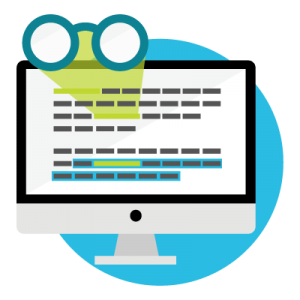 Siteimprove’s downloadable readability checklist will help you create readable, plain language content. Keep it nearby whenever you’re writing new content. 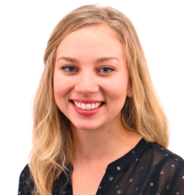 About the author: Lisa Marchand is a content strategy specialist at Siteimprove, a SaaS company that helps make the web a better place for all through its all-in-one digital management solution. In her role she loves covering topics such as analytics, website best practices, and digital accessibility around the world.